Our history began in 2012 when the Society of St. Andrew began operating in Nebraska. Produce From the Heart began running independently in 2015. In the Spring of 1978, Reverend Ken and Jean Horne, Reverend Ray and Marian Buchanan, and Reverend Jeff and Susan Allen, and their families, began praying daily for God’s guidance in beginning a shared ministry. Out of this period of intentional prayer, a plan for an intentional Christian community dedicated to helping resolve the problem of world hunger was developed. At a hunger awareness workshop they led at Franktown United Methodist Church on the Eastern Shore of Virginia, a farmer named Butch Nottingham questioned Ken and Ray about the facts they presented regarding food waste. From the discussion that followed, the Potato and Produce Project was born. On June 3, 1983, George Wooten of W. E. Bailey Produce, Chadbourn NC, donated a tractor-trailer load of sweet potatoes to the Society of St. Andrew. This first load of salvaged sweet potatoes was delivered to the Central Virginia Food Bank in Richmond. 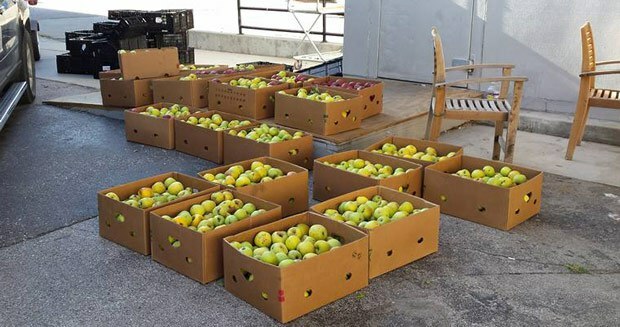 Since that first load in 1983, the Society of St. Andrew Potato and Produce Project has distributed well over 700 million pounds of food to America’s hungry. Beginning in 1992, the Society of St. Andrew has expanded into other states in the form of regional offices and gleaning ministries. In 2012, Mike Shambaugh-Miller began operating the Nebraska branch of the Society of St. Andrew. Three years later, Produce From the Heart began independently operation. We collect donated edible produce from farmers and gardeners across Nebraska. The produce is then distributed to pantries, homeless shelters, soup kitchens and FoodNet sites. Our goal is to slow the waste of fresh produce and help alleviate hunger in Nebraska. 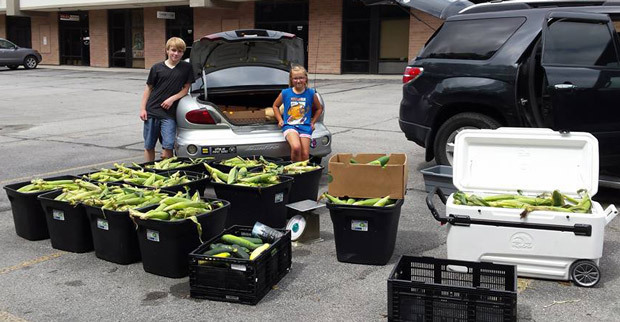 Young volunteers at the Old Cheney Road Farmer's Market with Donated Produce.